Trinity School is accredited by the Independent Schools Association of the Southwest, (ISAS). ISAS, a member of the International Council Advancing Independent School Accreditation (ICAISA), has voluntarily submitted to a rigorous and impartial review of its accreditation program and demonstrated its adherence to the Council’s Criteria for Effective Independent School Accreditation Practices. ISAS is commended by ICAISA for the quality of the Association’s accreditation program for its Member Schools. Preschool: Parents receive conference reports annually and meet with teachers twice per year for conferences. Lower School: At the end of each trimester, parents receive mastery-based checklists that indicate a student's progress toward meeting essential goals and objectives by subject and by grade level. Checklists are enhanced with narrative comments. Conferences are held twice annually. Letter grades are not used. Intermediate School: Parents and students receive report cards with letter grades in math, science, and humanities each trimester and assignment grades are available online for parents and students in those classes throughout the academic year. Their skills and learner behaviors in all classes are also communicated through a narrative-style report card. Parents have two conferences per year with their child's advisor, one of which is student-led. Upper School: Parents and students receive report cards at the end of each trimester. Letter grades are used and a grade point average is calculated on a 4.0 scale. Assignment grades are available online for parents and students throughout the academic year. Final exams are given at the ends of Trimester 1 and Trimester 3. Trinity School lunches are provided by Flik Independent School Dining. We prepare our foods from whole fresh ingredients, limiting the use of processed foods and avoiding products containing artificial colors, flavorings, M.S.G., preservatives, and high levels of sodium. We feature organic, local and Fair Trade fruits and vegetables as availability & pricing allows. We serve rBGH and Antibiotic Free Milk. The milk is produced at farms that do not inject cows with the growth hormone rBGH (recom-inant bovine growth hormone). In our effort to become more socially responsible we have moved to using only biodegradable paper products. Our eggs are always from cage-free hens. We use cleaning compounds which are much less toxic to the environment than conventional chemicals, and contain less packaging. Trinity School of Midland admits qualified students of any race, color, religion, gender, or national origin to all the rights, privileges, programs, and activities generally accorded or made available to students at the School. It does not discriminate on the basis of race, color, religion, gender, or national and ethnic origin in administration of its educational programs, admission policies, financial aid policies, or athletic and other School-administered programs. Preschool: Morning classes meet 8 a.m. to 11 a.m. 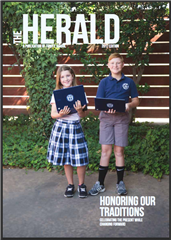 Afternoon classes meet 12 p.m. to 3 p.m.
Lower School: Grades Kindergarten through Third meet from 8 a.m. to 3 p.m.
Lower School Grade Four meets from 8 a.m. to 3:45 p.m.
Middle School: Grades Five through Eight meet from 8 a.m. to 4 p.m.
Upper School: Grades Nine through Twelve meet from 8 a.m. to 4 p.m.